"All The Earth" was released on September 8, 2017 and features many different artists, most of which you will already recognize as big names in the worship arena. Most heard on the album is the pastor of The Belonging, Henry Seeley. Other songs are lead by Merdith Andrews, Lauren Daigle, Sarah Reeves, Cody Carnes, Kari Jobe (Carnes), Mia Fieldes, Hope Darst, Andrew Holt and Maggie Reed. Seeley kicks off the album with a great upbeat song, "Zeal", which sounds just like it came from a recent Planetshakers album... which is a compliment in our opinion! This song is not only a great opener for the album, but would be a great opener in a worship service. All of us worship leaders are constantly looking for new uptempo songs that we can implement. Here's a new one to check out! You'd most likely want to get the loop track for this one to capture the overall feel. The next track, "Mountaintops", is also lead by Seeley but pulls the tempo back from the opener to more of a mid-tempo song. It is a powerful declaration of praise that could easily be implemented in most any church. Next is "Fall", lead by Andrew Holt and Meredith Andrews, which is a song of prayer and invitation asking the Holy Spirit to come and have His way. It references Scriptures with lyrics of "not by power or might" and making a statement of faith beyond what things look like or how they feel. The bridge is simple and powerful as you hear "heaven come down... heaven come down". This song is highly recommended! Lauren Daigle leads the next track, "Peace Be Still", which has been the most popular track of the album on iTunes since it was released and is also the most popular song from this album among our WorshipReady users. The song is a powerful anthem of faith and trust in the Lord and a prayer for peace and rescue from the storms of life. Daigle takes the song to a new level, as we are all accustomed to her doing. You can not possibly listen to this song without feeling your faith rise up within you to move forward and face anything in your life, knowing that God is right there with you! Next you hear Sarah Reeves leading "Fall Afresh", which she co-wrote with Henry Seeley and Kari Jobe. The song can also be heard on Kari Jobe's "The Garden", and is prayer for the Holy Spirit to come and fall afresh on us again. It's a powerful invitation song and one that we anticipate to become a very popular song in many churches. Cody Carnes leads the next track, "Testimony", which is just what the title says... a testimony... of the cross and God's saving grace. It references some of the popular phrases from "Amazing Grace" as it uses "lost but now I'm found" and "blind but now I see" in the chorus. The bridge declares that He is risen and "it is finished", helping to make this a great song to consider for Easter! Meredith Andrews, known for solo work as well as her involvement with Vertical Church, leads the next song, "Stay Here". It's a great song of just telling the Lord that you want to just stay in His presence, a place that we desire to be in and that nothing else compares to. Then Seeley continues with "Greater Than All", singing that God is "greater than all things". This song is simple and effective and would be easy to teach and implement. Now on track #9, we get our second (and last) uptempo song as Hope Darst leads "Here In Your Love". This a synth-driven song that would be fun to include in your worship set, maybe even more effective in a youth (or even kids) service. The chorus and bridge are both very simple for people to quickly grab a hold of. Mia Fieldes has co-written a huge number of worship songs that you are no doubt familiar with, including many on this Belonging album, but we don't see or hear her out front as often as we'd like. She does lead this next song, "Beautiful Story", which is a great song sharing the testimony of how God writes a beautiful story as He orchestrates our lives for good, from beginning to the end. The well-known Scripture Romans 8:28 is the foundation of this song. Andrew Holt returns with "Floodgates". It is a prayer for God to open the floodgates of heaven and pour out His glory. It is simple, yet effective. Maggie Reed takes the next track, "You're Not Finished Yet", which has been the second most popular track on iTunes. It is a great song of trusting in the Lord as we reflect on the great things He's already done and knowing that He is still at work in our lives... and not finished yet. Holt returns for his 3rd and final track of the album as he leads "Surely (In This Place)". This is a great song of recognizing that the presence of the Lord is here in this place. Seeley continues that flow with "Hunger + Thirst" declaring that we hunger and thirst for God and more of His presence. Next up is "Closer To Your Heart", which features the husband and wife team of Kari Jobe and Cody Carnes. This is a powerful song about God continually drawing us closer to Him and how we get lost in His love. This is a very effective song for any worship service. Henry Seeley wraps up the album with the last two tracks. "All The Earth", which is a spontaneous worship track, is one that you likely will not use in your church but is a really great track for your own worship time. Then we finish with "The Cross Has The Final Word", which was written by Cody Carnes and released as a single initially, but now available on this new CD "The Darker The Night / The Brighter The Morning". It will likely become one of the more popular anthems heard in churches everywhere at Easter time... but is a great song to utilize in any worship service! 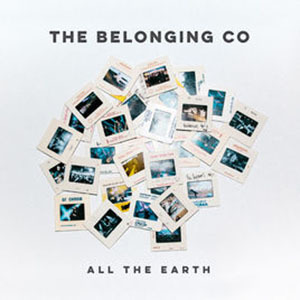 This new Belonging album has quickly become a favorite of worship leaders from all backgrounds and it is no surpise! Now, if you're looking for some new uptempo songs, you only get 2 out of 17 tracks on this album, so that's a bit of a let down. However, this album is still crammed full of incredible songs that are extremely usable and effective for today's contemporary worship service! We look forward to what else is to come from this new worship source!